Drum Corps is no stranger to bigotry. There was a time when black people were specifically excluded from some very prominent corps that still exist today. In the late ’50s there was an all-girls corps that was probably the best in the country, but was not permitted to earn the National Title. More recently, in the ’80s, there developed a strong and very visible push back from ultra-conservative elements against their perceived “gay bias” in DCI judging and instruction. 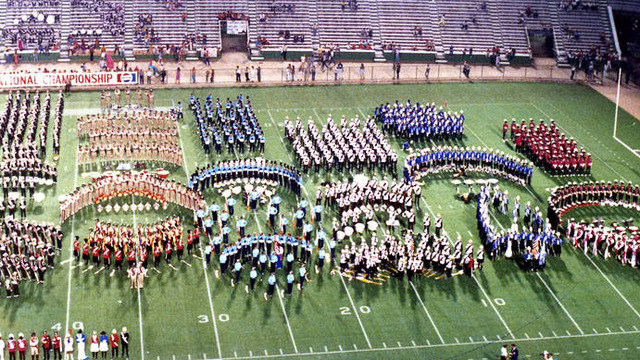 Some of these folks even had enough temerity to wear T shirts emblazoned with the slogan “DCI is Gay” at contests. Ultimately, these people lost those battles, as they have lost this one. Drum Corps is egalitarian and everyone knows it. The Drum Corps gods will be pleased. Posted by Frank Dorritie on Sunday, March 29th, 2015. Filed under Inside the Arc.